[column] President Donald Trump’s February 21, 2019 tweet about 5G and 6G technology, stating that “American companies must step up their efforts,” stirred a sense of duty in me. Thus, for the benefit of the telecommunications industry and users around the world, I am writing to help identify the real drawbacks of 5G technology. Wireless telecommunications technology has improved rapidly and changed our lives in significant ways. I hope to see the U.S. back at the center of such important computer technologies, assuming its rightful place as leader, because this country has made invaluable contributions to the world through development of the Internet, which serves as the backbone of the worldwide communications network. Initiated by the U.S. government’s Advanced Research Projects Agency Network(ARPANET), the Internet has brought myriad benefits to societies throughout the world by promoting communication. Because of its many significant contributions and its unique openly accessible services, which include email, access to the World Wide Web, and a simple and rational transmission control protocol (TCP)/Internet protocol (IP), the U.S. should rightfully be given another chance at leadership of the worldwide wireless telecommunications network. This era has also witnessed significant achievements and technological breakthroughs in the advancement of the 5G network. With its abundant bandwidth in the 30 GHz to 300 GHz range, 5G provides about 20 times faster wireless data transfer than 4G long-term evolution’s (LTE’s) microwave band, which is below 6 GHz. Accordingly, data transfer is no longer a problem for 5G’s high-frequency radio waves. We know that the 5G network will eventually arrive with its high-speed data transfer rate, but most devices’ software and operating systems will fall short of the standard due to their poor performance in the area of heavy data processing. Despite the accelerated properties of 5G data transfer, computer devices cannot always meet its speed because of time-consuming operations that involve huge data collections. Sorting a huge amount of data offers a good example of a worst-case scenario in meeting the high-speed capabilities of 5G because sorting is among the most time-consuming but frequently used operations in computers and devices. Such delay in the device response represents the most troublesome bottleneck in device-to-device communication. 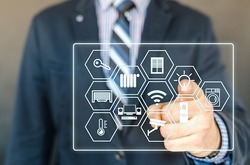 Most devices connected to a 5G network cannot efficiently handle heavy data because of poorly chosen algorithms for frequently used and time-consuming operations. In fact, the size of data is unimaginable because every device in a 5G network generates data and sends them through a wireless connection, regardless of the users’ intention or control. As a theorist in computer science, I have specifically devoted myself to heavy data processing for more than 30 years, providing ideal algorithms for these complex operations. Thus, I felt obliged to write this article at this crucial point in time. 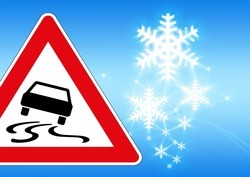 Today, when a user, through his or her device, requests a time-consuming operation such as sorting, the device nearly freezes, regardless of the 5G network’s rapid data transfer abilities, because it labors to sort the data mass. Such unexpected setbacks cannot be adequately overcome by leading U.S. telecommunications companies such as AT&T, CISCO, Qualcomm, and Verizon because they do not possess the highly specialized tools needed to battle such problems. Readers will better understand this phenomenon by watching the helpful videos that are displayed on my YouTube channel, “DK Shin Laboratories,” which is designed for people without a technical background. DK Shin Laboratories, which is dedicated to solving this problem, can provide unique, ideal solutions for this delayed data-sorting problem. Therefore, the major U.S. telecommunications companies and DK Shin Laboratories must cooperate on this national network project to secure the U.S.’s dominant role in 5G global sales. All of the world leaders in information technology will carefully scrutinize the new 5G network before adopting it. For the U.S. to emerge as the leading country for future technological generations, the best algorithms must be incorporated into the 5G network. Since my algorithms are mathematically proven to be superior to others, our Shin Sort and Search Engine and database join algorithm should be provided for every device connected to the 5G network in the U.S. and throughout the world. The U.S. choice to adopt this framework will soon be globally supported by many countries, and the U.S. government will again bring to the world its unique services through its strategic use of wireless telecommunications technology. 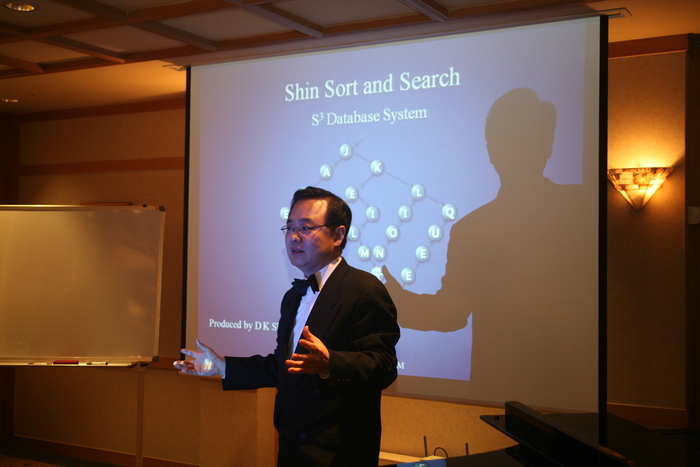 Dr. Dong-Keun Shin is the CEO of DK Shin Laboratories, an American software development company. He was identified as “The World’s Greatest Computer Scientist” in the 2015 and 2017 editions of Dictionary of International Biography published by the International Biographical Centre, Cambridge, England.